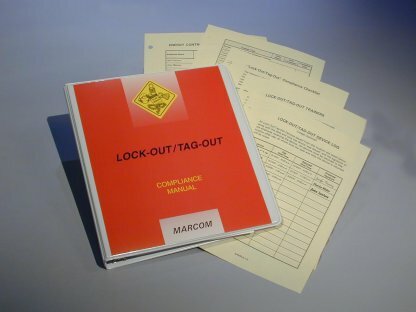 Description: MARCOM's "OSHA Recordkeeping" Compliance Manual is designed to help facilities comply with the OSHA Recordkeeping regulation (29 CFR Part 1904). The Manual reviews the regulation and the compliance requirements, and contains a complete "fill-in-the-blank" Written Compliance Program. By filling in the blanks in the Written Compliance Program section of the Manual, any facility can create a complete program that will help them meet the Recordkeeping Standard's requirements. This Compliance Manual provides the information managers and supervisors need to comply with OSHA's revised regulation, and allows an organization to quickly identify and eliminate repetitive hazard situations. It reviews the regulation in detail, and provides a comprehensive listing of the regulation's requirements. Areas covered in the Manual include the purpose and scope of the regulation, a copy of the regulation, major compliance requirements, a "fill-in-the-blank" written compliance program, and forms and procedures.